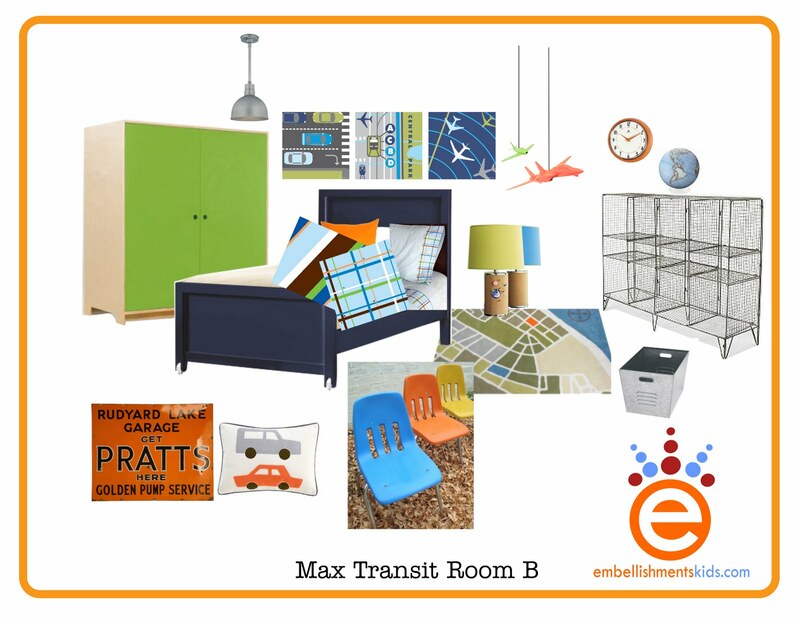 Embellishments Kids: What's old is new and what's new is hot! What's old is new and what's new is hot! Meaning, there's been a resurgence in interest of all things old, especially those of an industrial and pre-industrial era to expand back further than the recent revisit to mid-century. When companies like CB2, Restoration Hardware and Anthropology are looking backwards for design ideas and even offering vintage one of a kinds, that's something to take note of. Have you seen the recent Pottery Barn catalogs and in-store offerings? They're taking us back, way back to pre-industrial era with rustic pottery and rough hewn pieces. 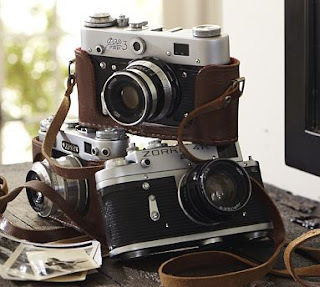 Obviously, as an artist who enjoys vintage inspiration in his modernized pieces, I'm excited to see the trend grow. 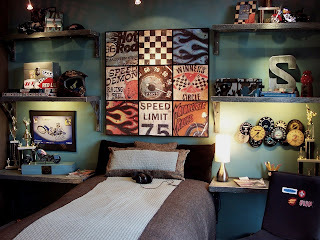 In the realm of children's room design, I've always been a bit of a retro kinda guy. I like to procure vintage pieces or have reproductions and one of a kinds made by through my studio, to incorporate into our room designs. 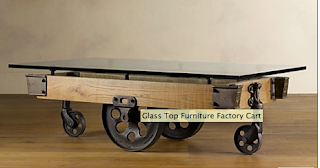 A vintage piece adds character and provides a sense of longevity or timelessness to the room. room with a sense of heritage and time worn charm. 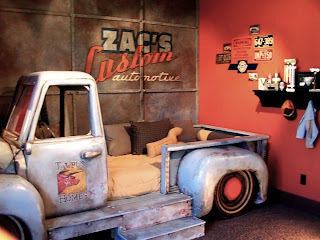 Our custom twin sized truck bed, although new, looked like it had been parked for 50 years. in the studio. I used my art as a visual replacement of a headboard. 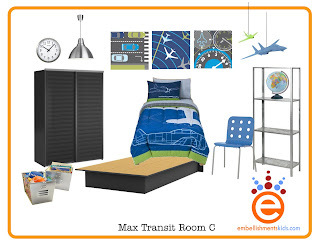 Max Transit Art Collection is available as individual reproductions in many sizes and as a full collage containing all nine. My latest art release entitled "Max Transit" does a bit of a switch a roo. Instead of reaching the vintage stage via texture I chose to go for a more graphic approach. With its gears, maps and instruments it has an industrial feel but done in a modern way. These pieces can bridge the gap between the slick modern furniture you see in stores today and yet allow the homeowner to bring in a vintage look. 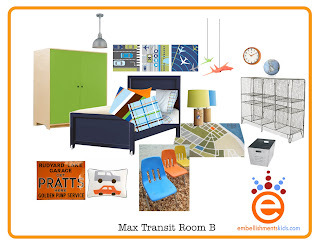 Here, I've provided you with 3 vignettes showing how my work could be incorporated into a boy's transportation room that utilizes vintage industrial looks combined with a modern aesthetic. I'm quite fond of raw, unpainted metals like aluminum, galvanized, chrome and zinc plating. If you stick to the white metals you can mix and match freely. If you prefer the golden metals you can tone them down by using brown waxed shoe polish as you would a traditional wax polish. Be sure to let the piece dry before handling. 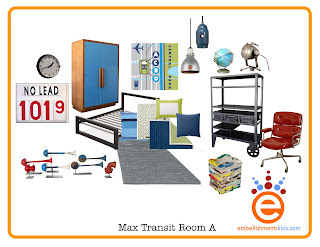 Option A utilizes one of a kind pieces, products from higher end retailers 1stDibs, Rejuvenation Lighting, Serena and Lily, Room and Board and a few off the shelf items. Option B draws it's vocabulary of items from traditional retail environments like Rosenberry Rooms, Land of Nod, Lowes, Urban Outfitters and Caden Lane with some one of a kinds. Option C incorporates similar looks for less with help from Target, Toys R us and Ikea. 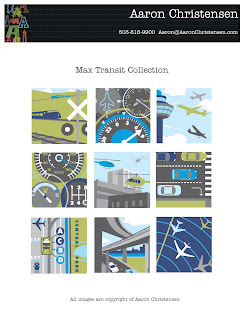 The Max Transit collection is part of my spring introduction and is available through fine retailers and independent boutiques. Email me if you need assistance with finding a retailer or if you are interested in purchasing them directly from Embellishments. Also available in a personalized growth chart. 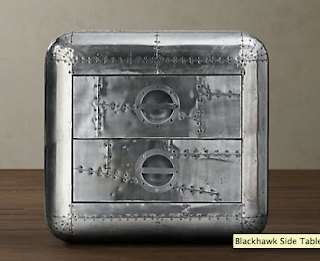 Great resource for vintage industrial are Ebay, Etsy, 1stDibs.com, Dog dish lights, Rejuvenation and even Craigslist. Here in Portland, I love to browse a material handling company store. They often pass on used equipment such as carts, dollies, work benches and more. If you have a great site to pass on please leave it in the comments for others to browse.